Cash sales for home purchases have dropped to 29.6 per cent, which Hamptons International says is the lowest level since its records began in 2007. The figure is for the first six months of 2018 when 113,490 homes were purchased with cash, to a total value of £25.3 bn. Hampton International states this is 21 per cent lower than the same period in 2017 when 144,350 cash sales were made, coming to £3.2 bn. In terms of regional distribution, the estate and letting agent says the highest level of cash buyers were in the South West, with 37 per cent of homes purchased with cash in the first half of this year, while London had the lowest level at 21 per cent. Hamptons International puts the drop in cash purchases down to fewer investor and developer purchases. Using data from the Countrywide Group, it says investors accounted for one in four, 24 per cent, of cash purchases in the first half of this year, down from 32 per cent in the same period in 2007. Developers purchased 2 per cent of the homes bought with cash for the first six months of this year, down from 6 per cent over the same period in 2007. “The proportion of homes purchased with cash has fallen to the lowest level on record. Today less than a third of homes are bought with cash. Housing affordability has a role to play in the decline, as does the drop off in investor activity. Re-enrolment is a sizeable task, and requires proper planning. 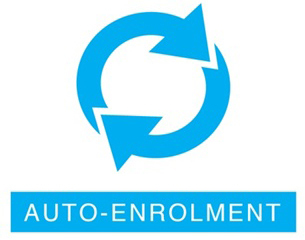 You must ensure that eligible staff who are not already in your auto-enrolment pension scheme are put back into it.